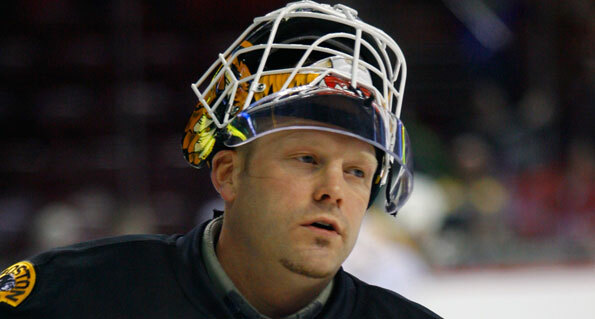 It has been announced that Boston Bruins goaltender, Tim Thomas, is considering sitting out the 2012-2013 season due to family matters and the strain he has been under that last several seasons. General manager, Peter Chiarelli, has said that the Bruins are moving forward as if they will not have Thomas next season. Taking a season off is not the smartest thing the two-time Vezina trophy winner can do at this point in his career. Thomas, 38, is at the point in his career and life where players usually are trying to extend their career by just one more season and taking a season off could mean we have seen the last of Thomas. While the Bruins' organization and fan base may be scratching their heads about their decision, they do not have to worry as much as you would think because backup goaltender Tukka Rusk is ready to step into the lime light. Rask has had limited time behind Thomas and finished the '11-'12 season with an 11-8 record, a .929 save percentage, three shutouts and a 2.05 goals against average. With Thomas taking a step aside for a season this is Rask's golden ticket to begin the era of Rask in Boston. In his short stints Rask has looked good and capable of taking the reigns as a starting goalie. However, the question was, when he would get the chance and whether or not that opportunity would be with the Bruins. If Thomas does in fact take a season off and return at the start of the 2013-2014 season Rask may have already solidified himself as the go to guy in Boston. Also, whose to say Thomas will return and be able to play at the NHL level when he does come back. Ultimately, we may have seen the end of the 2011 Conn Smythe winner and could be seeing the beginning of Rask's reign over Boston.